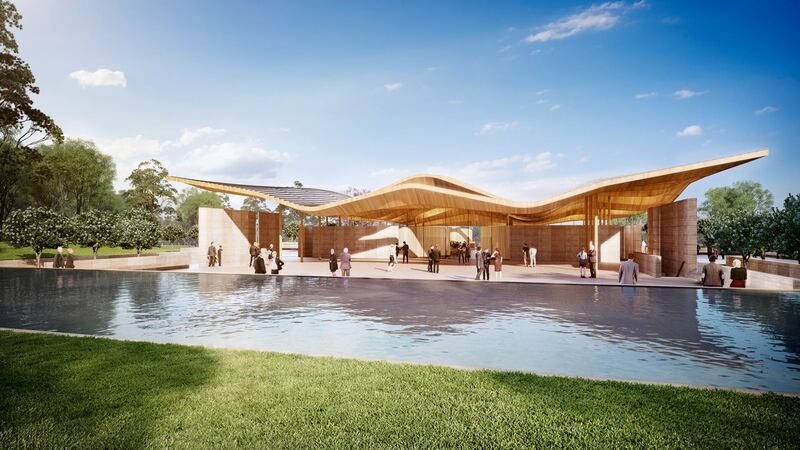 We have developed a design vision for a unique Memorial Park, a concept that will set a new standard for the integration of memorial landscape and architecture; uniquely Australian and comparable to the very finest international precedents. This is an Architecture of permanence and meaning, but also functional, flexible, affordable and extendable. 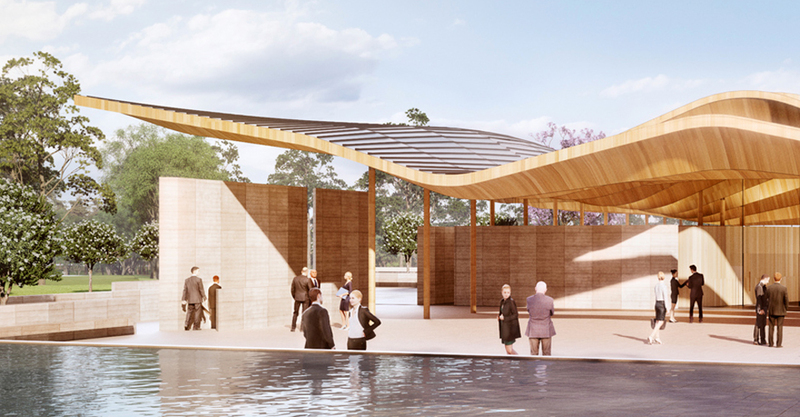 The architecture is inspired by the quality of the natural landscape and the depth of meaning of remembrance and the ritual of passing. Landscape and built form are integrated and brought into harmony, with outdoor rooms, courtyards, gardens, terraces and water, framing and framed with an architecture that grows from the ground and hovers over sensitive landscape. 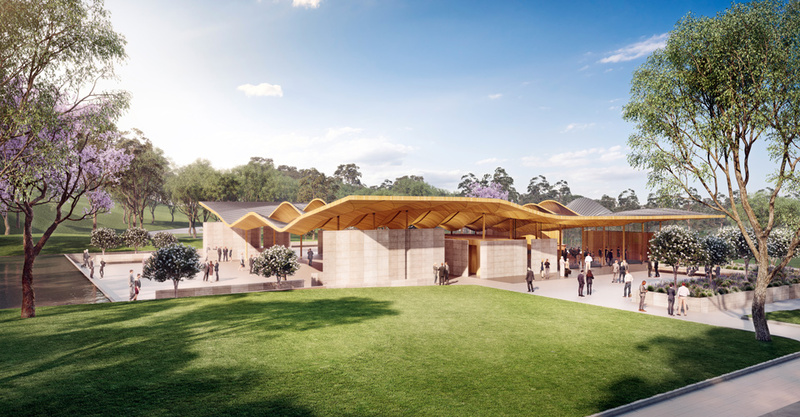 A memorial and ceremonial landscape marked through the gatehouse and centred on the chapel complex, is complimented by a recreational landscape and architecture with cafe and function centre poised over water and offering a beautiful and open park experience. We have strived to create an architecture that is lasting, permanent and uniquely of this place. We have avoided any fashion of form, colour or material in favour of the timeless and lasting. Our proposal is founded on the universals of geometry, ground and sky as they frame our lives and our passing. The multi-faith nature of the complex is well understood, the need to serve well the unique ritual of the Catholic Liturgy, together with the many other faiths / religion as well as the purely secular, has lead us to propose an architecture of essentials. 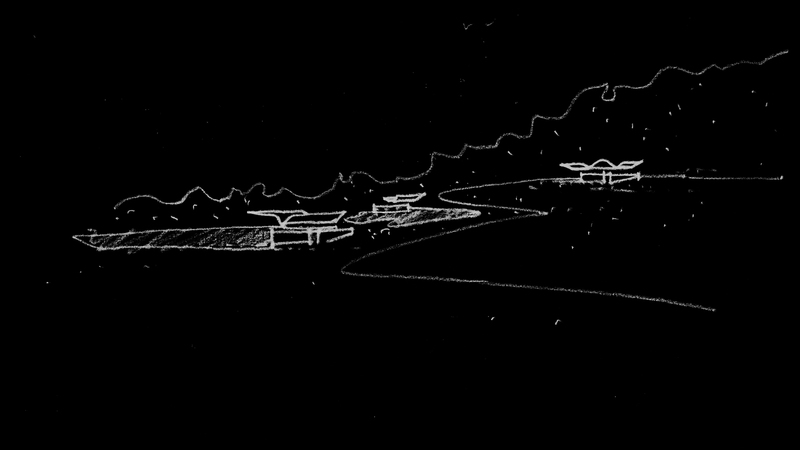 A key design element to all the buildings are the light and organic curvilinear roof forms that purposefully draw inspiration from the surrounding topography and help to intentionally soften the forms against the landscape. 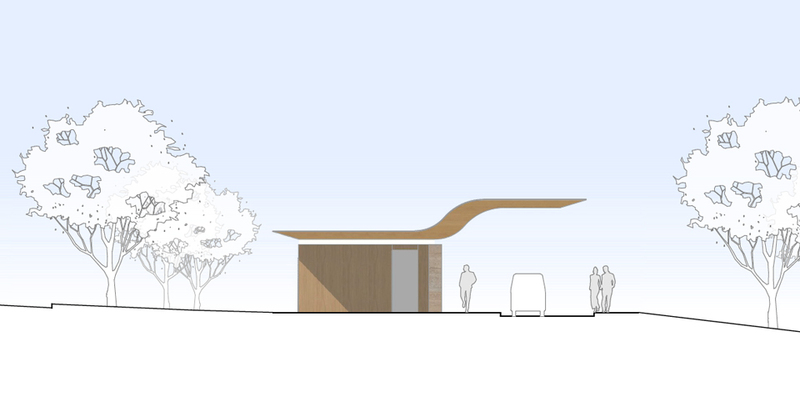 The multipurpose chapel building is a single large column free space that is divisible into three smaller spaces.